Seaweed bath houses were an indigenous Irish tradition that VOYA Organic Beauty are helping to revive. It's amazing for the skin and, at the beginning of the 20th century, there were an estimated 300 bath houses in the country! But sadly, when VOYA reopened the seaweed baths in Strandhill, Sligo, in 2000, they were the first in Ireland for 100 years. The logical next step for VOYA was an at-home version of the seaweed bath experience, and so the Lazy Days kit was born. This was the first in what was to become an award winning range of organic beauty products that can now be found in some of the best spas and hotels in the world. I was sent three products from the range and have been trialling them for the past couple of weeks. The Squeaky Clean Body Wash, €18, Time To Shine Body Buff, €29, and Totally Balmy cleanser, €45, are pricey, but feel very luxurious and are lovely to use. And none of the products smell remotely like seaweed, but instead of all the gorgeous organic oils they contain. Squeaky Clean smells particularly divine thanks to essential oils of Lemon Peel, Lime, mandarin and patchouli. All those oils, along with Vitamin E and Pro Vitamin B5, leave skin feeling conditioned and refreshed, and the seaweed extracts also help with muscle stress and fatigue. Body Buff is the perfect level of scrubbiness - it's not too abrasive and extracts of almond oil, seaweed and ginger leave the skin feeling soft, smooth and nourished. But Totally Balmy is my pick of the pack - I'm a hot cloth cleanser fanatic and this had me at 'enclosed muslin cloth'. The balm itself is thick and unctuous and melts onto the skin, dissolving makeup and impurities and leaving skin feeling clean and pampered. I'm thrilled to have discovered this brand. I'd love to visit their baths house one day, but in the meantime I'll content myself with exploring more of their at-home product range, which you can find online or at fancypants spas. Have you tried any seaweed products? Share your thoughts and experiences in the comments! And for more great Irish brands check out the other posts in this series. If it's got seaweed in it I'm sold - such beneficial properties! I had a voya hair treatment in the Lyrath Hotel SPA in Kilkenny and it was so amazing. Would love to try their other products! I haven't had a chance to try these out yet but Seaweed is such a great ingredient in skin care that I'm sure they're gorgeous! 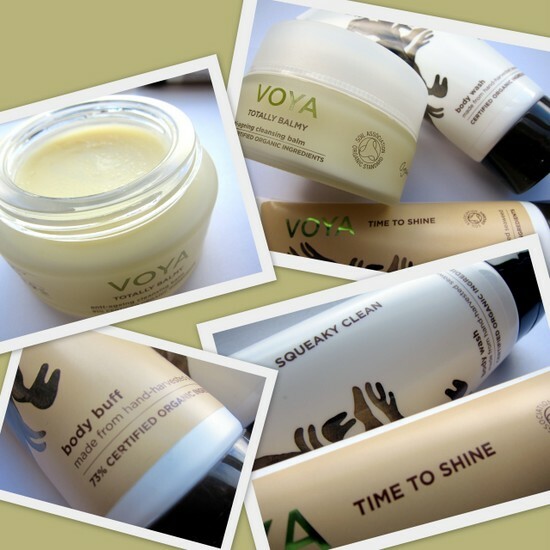 I had a voya treatment in the Dunloe Hotel SPA in Kilkenny and these products are so amazing. love it and will try to use again. Sounds like a great brand, love to try and buy Irish! haven't had a chance to try them out yet. sounds lovely! wow..! who would've thought... the awesome natural properties of seaweed! thanks for sharing. Definitely an interesting concept... Seaweed is a big thing in Asia and Europe but not so much in the US. sounds lush! out of the price range for such luxuries but each and every sounds beautiful. maybe I'll nip by your bathroom and pinch some (when I come to visit in June). now, i'm away to look up unctuous in the dictionary. true story. Oh Sorry but I don't think I would like seaweed in my bath!! !